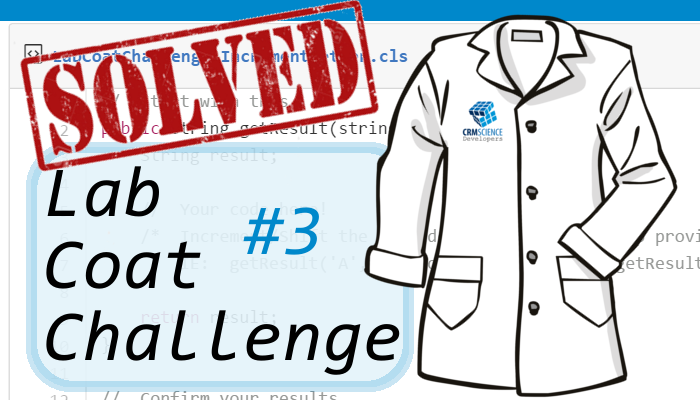 Lab Coat Coat Challenges: Challenge #3 Responses! Great round of submissions for this Lab Coat Challenge! It's interesting to see how everyone had a similar approach to resolving the problem and used different tools to get there. Some were able to create concise solutions that made use of system methods while others ended up replicating the same work or something very similar. Great example of where it pays to know (or, minimally know they exist) some of the more rarely used methods in the documentation. Thanks to everyone who has participated so far and for those that are checking these answers out now and think they can do better! Keep the submissions coming and we hope you're enjoying these challenges!